Hameer Kalyani - Kai Veenaiyai Yendhum Kalaivaaniye - Vietnam Colony (Another gem in the raga). Senchuruti - | P' D2' N2' S R2 G3 M1 P | P M1 G3 R2 S N2' D2' P' - Used in Kavadi Chindu, has a good folk flavour. I'm sending it to several friends ans also sharing in delicious. And naturally, thanks for your effort! i advise him/her to go to see this blog, Keep up the fastidious job. It is appropriate time to make a few plans for the long run and it's time to be happy. I have learn this post and if I may just I wish to suggest you some attention-grabbing things or advice. Maybe you could write subsequent articles regarding this article. I desire to learn more issues approximately it! I know this site provides quality dependent content and other information, is there any other web page which provides these kinds of stuff in quality? Hello to every body, it's my first pay a quick visit of this weblog; this web site includes amazing and really fine stuff for visitors. I've been surfing online more than 3 hours these days, but I never discovered any attention-grabbing article like yours. It's lovely price sufficient for me. In my view, if all webmasters and bloggers made just right content as you probably did, the web can be a lot more helpful than ever before. 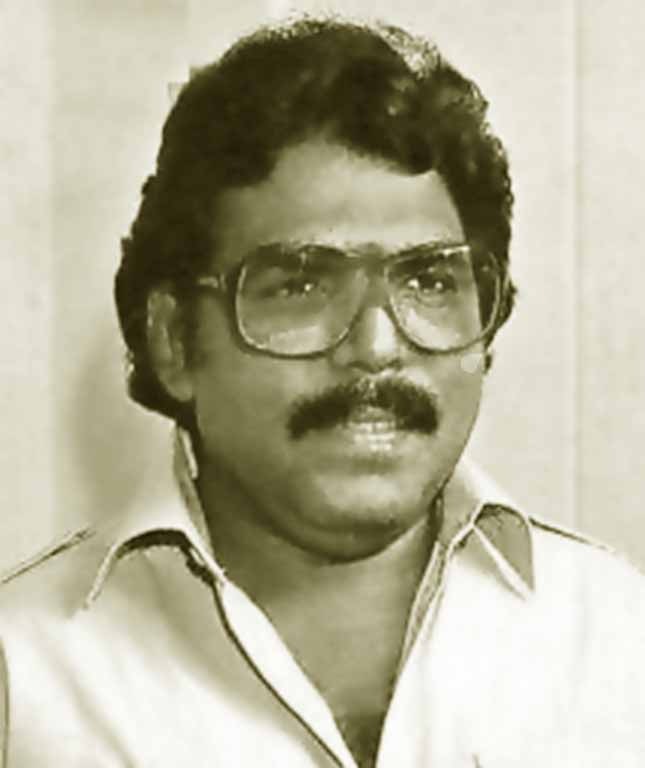 Thanks for finally talking about > "Ragaam in tamil film songs by Illayaraja" < Loved it! now working on, and I've been on the glance out for such information. Hello to every one, it's actually a good for me to pay a visit this site, it contains useful Information. This article has really peaked my interest. I'm going to bookmark your website and keep checking for new details about once a week. I subscribed to your Feed as well. as I'm wanting to create my own website and would love to learn where you got this from or exactly what the theme is named. Kudos! this enormous informative piece of writing here at my residence. Fantastic website. A lot of helpful info here. I'm sending it to some pals ans also sharing in delicious. And certainly, thanks to your effort! Hi! I've been reading your weblog for a long time now and finally got the courage to go ahead and give you a shout out from Huffman Texas! Just wanted to say keep up the great job! Normally I don't read article on blogs, but I wish to say that this write-up very pressured me to try and do it! Your writing taste has been surprised me. Thank you, very nice post. of content so people could connect with it better. Youve got an awful lot of text for only having one or two images. Very good initiative to pay tribute to the god of music... could someone ensure the comments from singers and directors about raaja sir is not in sync with the referred names... please correct it. As far as i am concerned, i would say Ilaiyaraja is the composer of the century. If there is one single authority on 'orchestration', it can only be ilaiyaraja. Dr.BALAMURALIKRISHNA (Eminent Carnatic Vocalist, India) . I love all the melodious compositions of ilaiyaraja sung by S.P.Balasubramaniam and Yesudoss. My all time favourite is 'raja raja chozhan' from 'Rettai Vaal Kuruvi' that i hum frequently. There wont be another ilaiyaraja. He is par excellence, self taught and a complete composer. Improvising on original compositions of someone like ilaiyaraja has always been a dicey proposition for me. Some of my improvisations / touches get his nod, while in other instances when i go overboard, he would step in with a figurative spank in the ear. Me, Jesu anna and Chitra are all so lucky to have got the opportunity to sing hundreds of numbers in his music. If a situation arised wherein ilaiyaraaja decides to quit film music, i would as well quit making films. We both have worked so long with each other now that i dont need to explain him in great details abt my expectations. He knows what music i would want, and i create situations which he will love to make music for. He is the master of background music. I watch films that has ilaiyaraja as the music director, just for his background scores. "Thalapathi" is one such movie, which i have watched umpteen times just for his BGMs. When you listen to his songs, you feel as if you were in a trance. Especially, the song," Kaatril Endhan Geedham" from film Johny. Listening to his music is by itself a meditation to me. I shoot scenes with a particular impact in mind. And even before i discuss about what i have in mind, he is already ready with mind boggling BGM bits. His music is precious. Mere dishing out of money wont get you such quality music. We are big fans of the Maestro, and are proud to be the exclusive North American importer of the WINGS CD. ReR USA holds no allegiance to any particular style or genre of music, rather we only care about excellence. That's why we're so thrilled to have ilaiyaraaja !!. He is my God. I have grown up listening to his music. Whatever i am able to compose today, i owe it to this maestro. Nothing But Illaiyaraaja - இளையராஜவின் கானங்கள். Design by ChiQ Montes. Converted to Blogger by BloggerTricks.com.